When I started creating christmas cards for my friends I didn't realize how addictive it could be and it's slowly been getting larger. 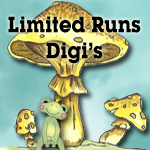 We all start somewhere and it's been growing.Creating Digi's just happened to be a blend of using my drawing and computer graphix together to create "Limited Runs"which is my digital stamp store. I've also started Freebie Fridays and will be doing this for a Limited time too. Each may be posted from 1 day to ??? (Limited Time Offer) May you all enjoy my digi's as much as I love to make them. So if your looking for some YUMMY cupcakes I've got over 70 Varieties to choose from with more always in the works. Don't worry there are also others available too from Cute to a little scary. Pop by and you'll see what I mean!!! And we have occassional large seasonal Digi's for those who scrapbook digi's that are 8 By 8 Inches too these will pop up from time to time and be Limited Runs too. Be sure to check out The Cutting Cafe and Limited Runs for some awesome digis and printable/cutting files. 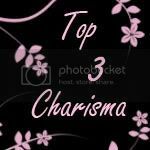 Limited Runs is offering 3 Digis to the winner and a digi stamp to each Top 3! There's also an inspiration challenge at The Cutting Cafe where you could win 3 stamp sets of your choice and a buy one get one deal on all background files. Welcome to another Cutting Cafe Monthly Inspiration!!! This month Regina challenged us to use backgrounds. I chose to use the Time 2 Background Printable Stamp. Unbelievably the school year will be coming to an end soon. It feels like this year, especially the school year, has just flown by so far. And what does that mean...GRADUATION! So I figured I'd get a few cards made up in case my boys had any friends graduating this year, and if not, I can put it up for my nephew that will be graduating next year, since it's done in his school colors. Anyways, graduation makes me think of TIME...time that you've spent studying, time that you've spent planning out your future, time that you've spent in school since you were a wee little thing, and the time that you will always feel you're up against as you're moving down your new path in life. Along with this background image, I also used the Happy Graduation Huge Circle Set and the Ribbons Sentiments Banner Set & Shaped Card that you can find at The Cutting Cafe as well. I love the Ribbons Sentiments Banner set, it's so versatile and along with the backgrounds, you could make so many quick cards to keep on hand. Be sure to check out the Cutting Cafe Monthly Inspiration post at The Cutting Cafe on Wednesday, March 16th for your chance to win 3 stamp sets of your choice from The Cutting Cafe store and some brilliant inspiration from our design team. Happy Sunday!!! Boy did this weekend fly by rather quickly, at least to me it did. I can say it was an entertaining weekend but I'd be lying. I'm actually glad it's almost over. But anyways, I did find some time to make this birthday card with the NEW! Ribbon Sentiments Banner Set & Shaped Card that was just released over at The Cutting Cafe! Regina has done it again by creating a wonderful stamp set! You can't go wrong with 48 images and a shaped card cutting file for only $4.99! So many possibilities with this set and so fun to play with. I used a freebie image from Cuddly Buddly, I thought it was cute little birdie. I can see many more cards made with the Ribbon Sentiments Banner Set in my future! I have quite a few birthdays coming up in the next couple of weeks. So one down...upteen more to go! I hope you enjoy my card and hope that it inspires you to find some time and create something for yourself or someone special! And if it doesn't, then there's creativity and inspiration surrounding us all over blog land and especially at THE CUTTING CAFE! I hope the upcoming week is a great one for everyone! Thank you to everyone that joined along with us this weekend during the Operation Write Home Bunny Hop!! I appreciated each and every one of your comments and hope that you'll help support Operation Write Home whenever possible! Please contact me at Craftyjsplace@cox.net to redeem your gift certificate!! And thank you again for stopping by my blog! Good morning and happy Saturday!!! Today is the day...what day ya ask?? The Operation Write Home Bunny Hop!! You should've began your hop at OWH Stars and Stamps, if you didn't, please hop back to the front and start your hop over, as we would hate for you to miss any of the creations from all of the fabulous talent in this blog hop! If you did, then you should've arrived here from Maritza's fabulous blog. If you'd like to participate in Operation Write Home, the best starting spot is the "Get Involved" page on the OWH website. 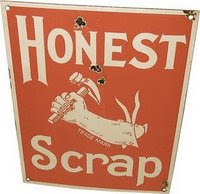 It gives you all the information that a newbie would need to get started. And if you should have any other questions, don't hesitate to ask..there's always someone that can help you and plenty of heroes that could use a card to send to a loved one back home, or a loved one that's overseas as well. So for my card, I chose an Easter card to post. I do have glitter on my card, but it's Stickles and then covered with Glossy Accents, to keep any flaking of the glitter. We can't put our heroes in harm's way by covering them in glitter now can we? On a personal note - As a military spouse and soon to be military mom, I would like to Thank everyone that participates with Operation Write Home, or any other organization that helps our heroes while they're away from home. It's awesome and heart warming to know that there's folks out there willing to give of their personal time. So thank you to each and every one of you from my family to yours. 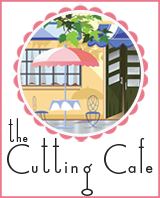 If you'd like to win a $10 Gift Certificate to THE CUTTING CAFE, please leave a comment below and I'll draw a winner on Monday, March 7th, 2011. Thanks for stopping by and joining the Operation Write Home Bunny Hop!!! Your next stop is the lovely and talented Linda at Catered Crop!